GamersOrigin’s line-up will compete in several tournaments during the next weeks. 2018 is a true opportunity for the team to show up how its players improved. The team will take part in Auzom Premier League Season 2, starting January, 14. The tournament gathers together the best European and North American teams. GamersOrigin was invited to compete alongside famous organizations such as TSM or FaZe Clan. Auzon has recently held the Nations cup, the very first tournament that opposed countries instead of organizations. Rémi “Unconspicuous” Damo took part in the Nations Cup as member of the French team. The Auzom Premier League uses a championship-like system : after each round, team position and kills done grant points. Matches will be played every Sunday from January, 14 to March, 4. The top 10 teams from each region will participate in the Grand finals on March, 10-11. Meanwhile our roster will compete in PUBG Online Showdown, a recurring tournament every Monday and Thursday in which the line-up performed very well at the end of 2017. 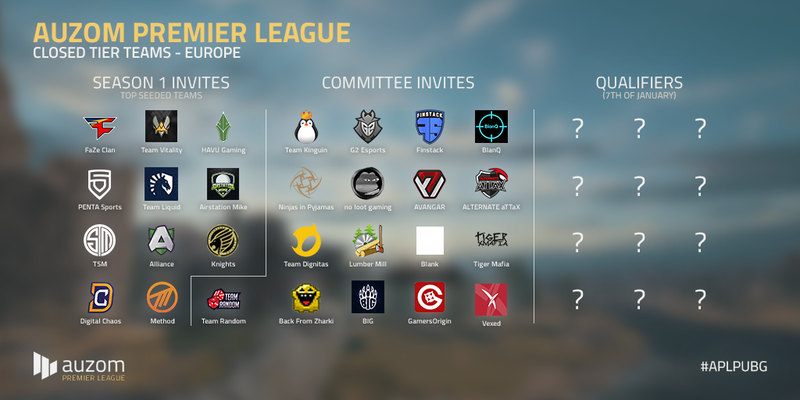 The event is working as the APL, but with a promotion & relegation system. It ensures that only the best teams belong to the highest division, in which GamersOrigin is. Then, we will try to obtain a spot into the Global Loot League Season 1 by competing into the qualifiers in February. Global Loot League works exactly as the Auzom Premier League Season 2, with weekly matches. If we manage to do so, we will take part in three major competitions at the same time. Rémi “Unconspicuous” Damo related his beginnings as a member of GamersOrigin, including the team’s training since 1.0’s launch. GamersOrigin’s welcome was very warm. Everything is going perfectly well, as we achieved to win our first tournament few days after our arrival, and we qualified for the PUBG online league, which gathers together top EU teams. The best teams in the world are competing in Auzom Premier League and PUBG Online Showdown. Most of them have already shown how strong they are during the last IEM or tournaments like Global Loot League. Every team has its own strengths. We can’t underestimate one of our opponents. We are training almost every day, 7-9 hours per day. We start with classic games and then we move to scrims against the best top EU or NA teams. The new map is fun but to my mind, but is not suited for competitive play yet. The 1.0 is a great update despite technical issues as lags, which are still disturbing our experience. We would like to thank Nahimic for the support it grants to the team. You can discover their software on www.nahimic.com : it boosts your computer’s voice chat and audio performances.